Get ready folks because AMSOIL is about to kick the industry in the behind with NEW FORMULATIONS which will MEET and EXCEED Industry standards. Stay tuned, GET ON BOARD and STOP Wasting YOUR Money on other “SO CALLED Synthetics” Notice the NEW Bottle Labeling. 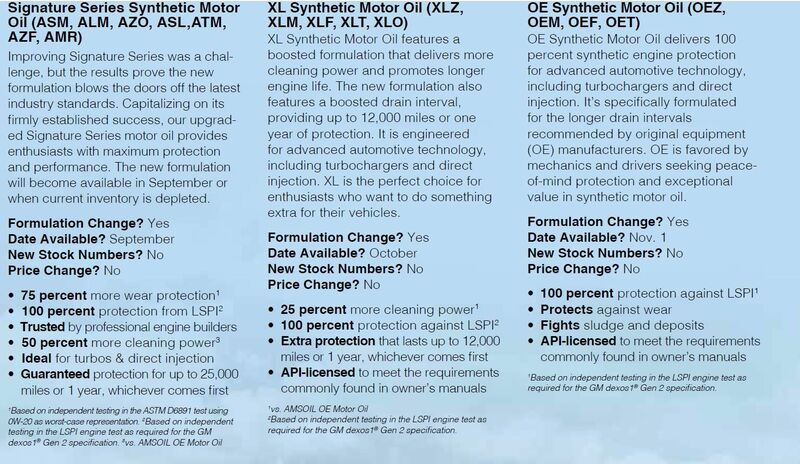 We have always known that the OE and XL Oils were full synthetics but the consumer did not know. NOW they see it on the label. Also the XL Oil has been boosted to a 12,000 mile service life. So all in all new formulations exceed standards are the highest in the industry continuing to make AMSOIL the ONLY True and Pure Synthetic Lubrication in the world. 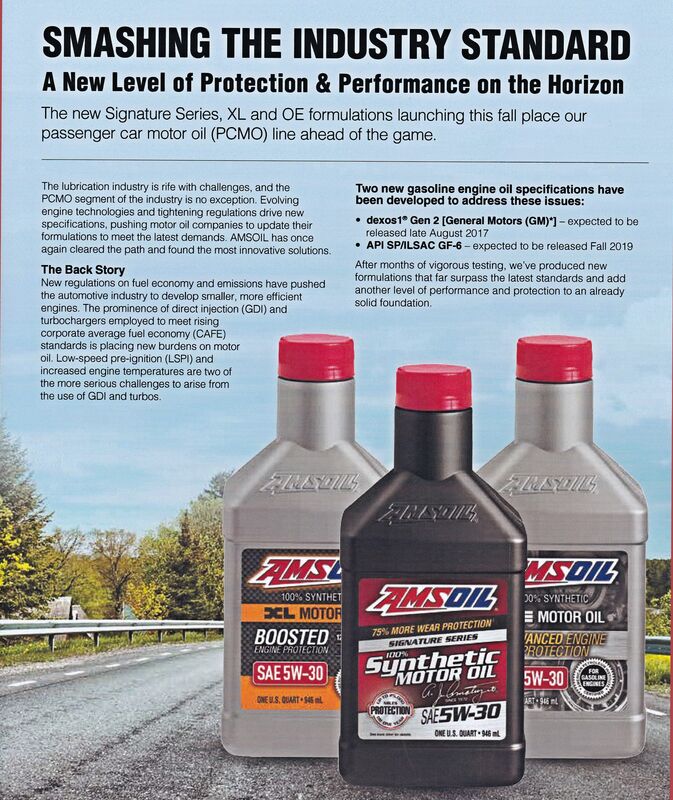 For more information about AMSOIL and its product line go to http://www.amsoil.com or http://www.The1stSyntheticoil.com. You can also peruse http://www.SELubricants.myamsoil.com. Should you desire to purchase products at a 25% savings or become an AMSOIL Dealer, call 1-800-777-7094 and inform the operator you are working with Account ZO 9792. Here we are 45 years since the introduction of Synthetic Lubrication in America by Albert J. Amatuzio and his company, AMSOIL. Still today there are folks who DO NOT BELIEVE. Guess those folks are still driving Model T’s and can work on an engine by stepping inside that engine for mataintence. Forty-Five years ago we did not go to the Moon either but today we have and along with those developments have come many other things. I have been in the AMSOIL business since the ear…ly 70’s and look forward to technological developments to make things better. I continue to look for studies that show just how good Synthetics are over Petroleum lubricants and how in fact it will SAVE time and money to the consumer. 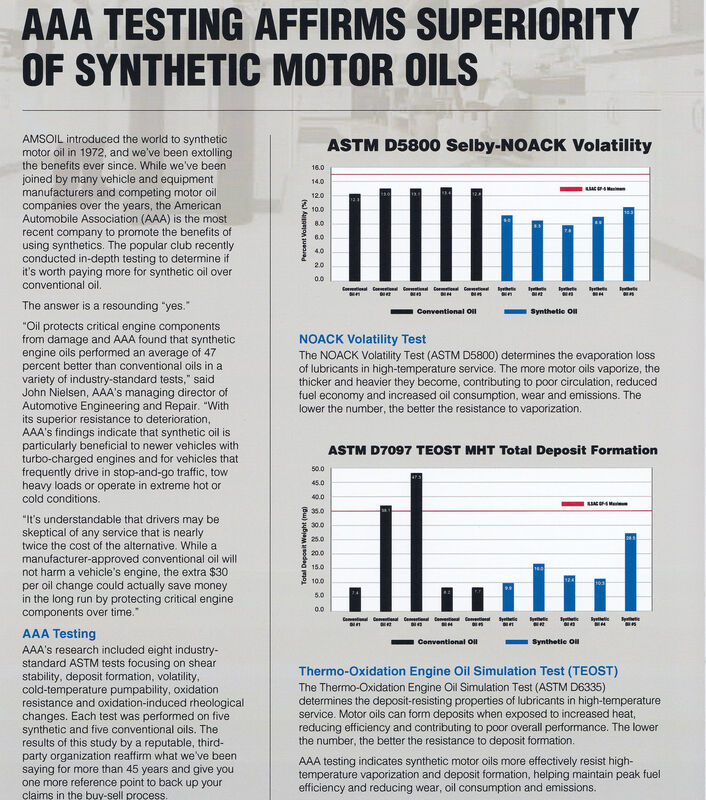 So here are three very informative studies I have found that hopefully will give insight on why I believe people should use and purchase REAL Synthetic Lubricants which AMSOIL does provide. NOT Everything being touted as “Synthetic” meets the standard of a TRUE Synthetic so judge for yourself as to what you buy that meets your need. Here are three studies you can peruse to be better informed about Synthetic Lubrication: Copy and Paste each to your browser. Study 2 is an AAA Study and very comprehensive. Once you have read these studies please provide me some feedback as to your thoughts. For more information go to http://www.amsoil.com or http://www.The1stSyntheticoil.com. You can purchase AMSOIL products at cost, saving 25%, if you are so interested. ASK ME HOW! Should you desire to purchase on your own call 1-800-777-7094 and tell the operator you are working with ZO 9792.